This is our first year with Luna and I feel so sorry for her in this heat! I keep her indoors with all the windows open and the fans on, but sometimes she still manages to get really hot. That's when I thought hey! 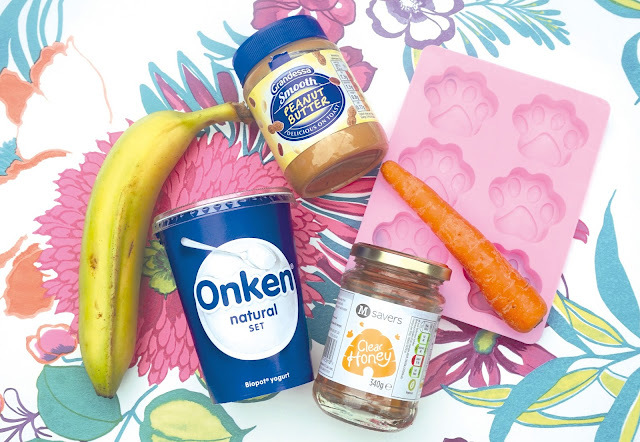 Let's make her, her own super fantastic doggy ice cream! Luna is like a hoover, constantly scouting out for food, so it wasn't difficult to decide what ingredients to include. 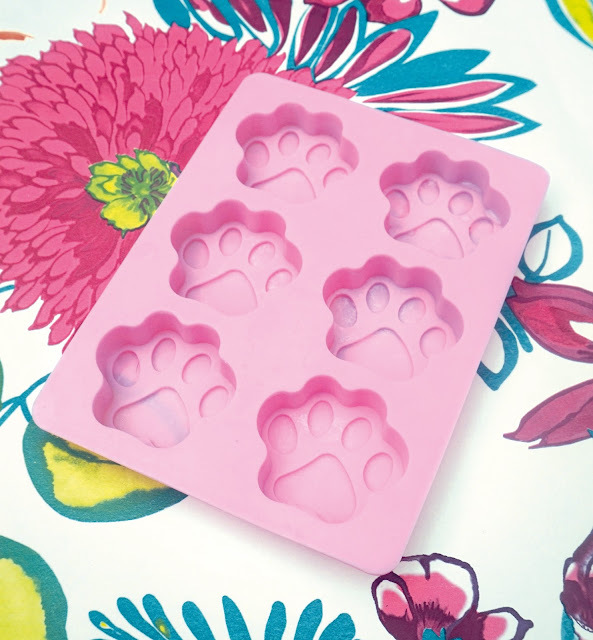 I already had the paw shaped silicone moulds laying around as I like to bake her homemade treats too. I think I bought it from eBay, so not too expensive. 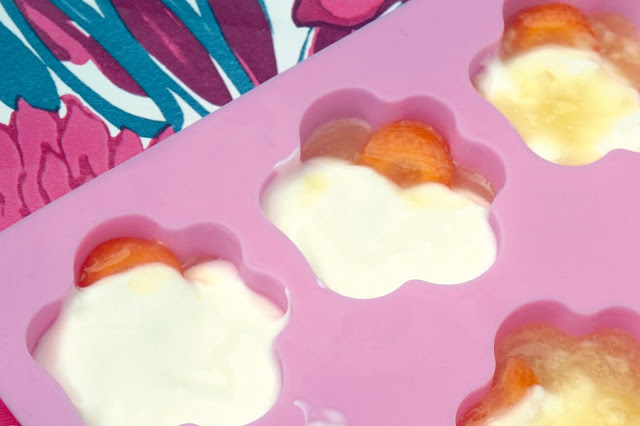 Obviously these moulds aren't essential, any will do, I also used normal ice cube moulds later on. 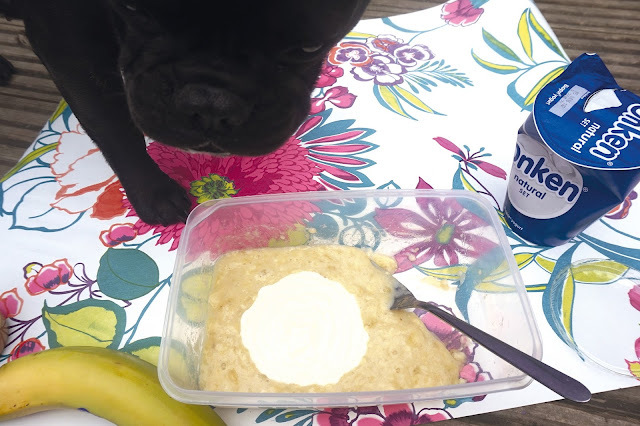 First of all we mashed the bananna in a tub and added equal amounts of the yoghurt. Luna wasn't too impressed that I wouldn't give her any! The medical term for ice cream headaches is sphenopalatine ganglioneuralgia. 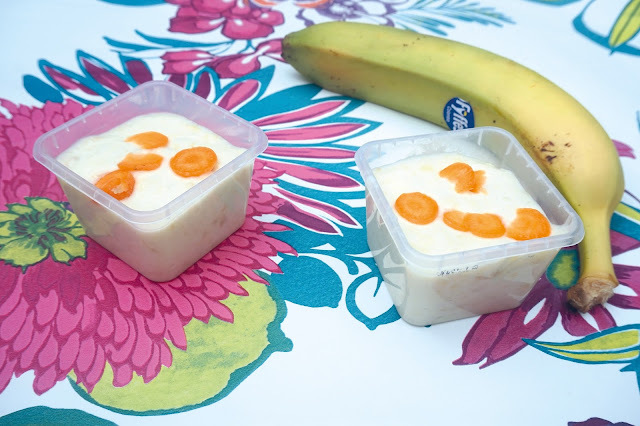 Once all the yoghurt and bananna is mixed, I decantered them into two small tubs, added a bit of carrot and put in the freezer. Simple! 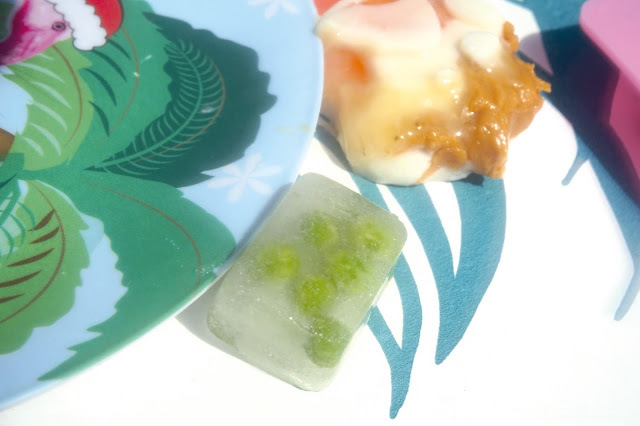 Next I used my paw mould to make smaller bite sized ices. Luna loves peanut butter so I made sure to add some this time round. For this batch I added all the ingredients in the same mould (without mixing them together first). I think she'll love these as they have a bit of all of her favourites, plus they're easy for me to get out of the mould and put in her food bowl. 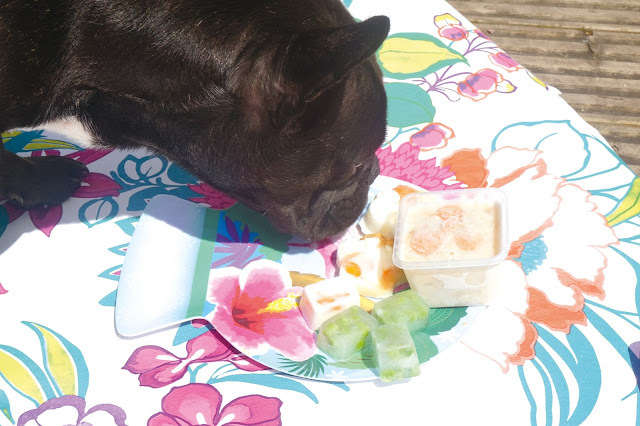 To finish off the carrot and some of the yoghurt, I used normal ice cube trays and filled them up. I didn't have much mixture left so filled the rest of the mould with water and some frozen peas! Perfect for Luna on a hot summers day. 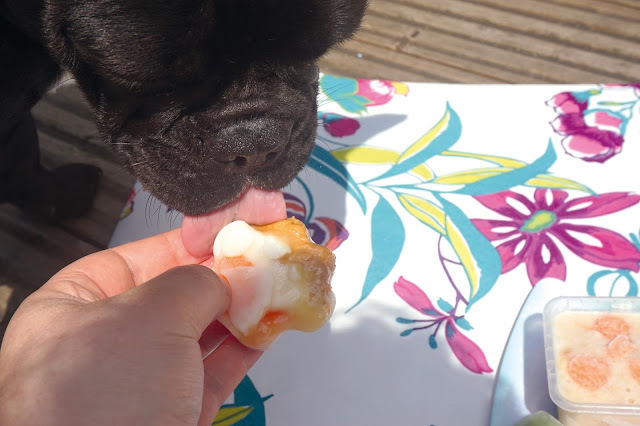 I was going to take some fancy photos, but what's the point when you have a greedy puppy trying to eat the things you need to photograph! 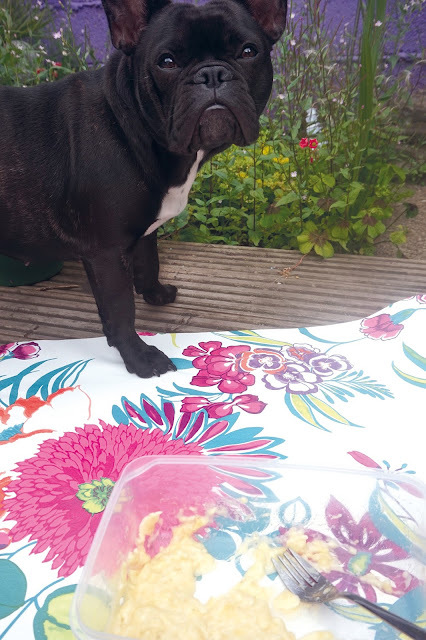 I can definately say that Luna enjoyed her icecream, what does your pet like eating on a hot day?